The multiple disasters of the Bush administration threaten to peak in a perfect storm in 2008: the U.S. overextended and isolated in the world arena, its hard and soft power both steadily shrinking, failed military occupations in Iraq and Afghanistan, a threatened constitutional crisis between Congress and the executive branch, the possibility of a serious economic meltdown due to growing inequality, a large overhanging debt structure, an out-of-control balance of payments deficit, weak dollar, and the ongoing mortgage and financial debacle. The current political stalemate within the government means that the next president and Congress will have to clean up the mess created by imperial overreach. It is abundantly clear that a new direction must be set for the nation. The 2008 election thus promises to be more volatile and important than most, with the likelihood of multiple foreign and domestic crises maturing while the candidates debate. With no incumbent president or vice president running this year for the first time in over a half a century, this should be the most open race since 1952, but it does not feel that way. Instead, a near invisible selection process has been underway for well over a year. Members of what is often called the “establishment”—in reality a plutocracy, the corporate-based ruling class— have conducted a “hidden primary.” This ruling class operates through such bipartisan, establishment organizations as the Council on Foreign Relations. The hidden primary involves funding, advising, and advertising preferred candidates so that whoever emerges from the process and is elected president next November is more than acceptable to the powers that be, and will rule from the center or center-right. Presidential candidacies are big business and candidates need unending amounts of money for staff, headquarters, travel, television and radio advertising, polls, postage, and literature. The corporate ruling class and its allies have the money and are happy to donate some of it to a candidate or candidates of the right persuasion. There are five main pots of gold available for the right candidate, four of them corporate and one made up of professionals often tied to corporations. The first and largest represents Big Capital—finance, insurance, and real estate corporations. These corporate capitalists usually favor Republicans, but this year favor Hillary Clinton above all, followed by Rudy Guiliani, Mitt Romney, and Barack Obama, in that order. A July 9, 2007 article in Fortunewas titled “Business Loves Hillary” and tells the story of how and why Morgan Stanley CEO John Mack, who raised at least $200,000 for George W. Bush, now supports and donates to Clinton. David Rockefeller, retired former chair of both the Chase Manhattan Bank and the Council on Foreign Relations, also made a maximum donation to Clinton. By October 2007 employees of the Goldman Sachs investment bank had given Clinton $338,690, Morgan Stanley employees $326,190, and Citibank employees $303,865. Obama got $360,328 from Goldman Sachs employees, even more than Clinton, but overall securities and investment companies, commercial banks, and real estate firms favor Clinton first. Security and investment companies favor Obama second, but real estate likes Romney and Guiliani over Obama. Hedge funds donate more to Guiliani than anyone, ahead of Clinton and Obama, and insurance ranks Chris Dodd (from Connecticut, where the insurance industry is headquartered), ahead of Romney, Guiliani, and Clinton in that order. A second pot of corporate gold comes from lawyers and law firms. Clinton leads among this group as well, followed closely by Edwards and Obama, then leading Republicans Guiliani, McCain, and Romney. Lobbyists—the third group of major donors—give more to Clinton and Guiliani than to McCain, Dodd, and Romney. Obama and Edwards are refusing to accept lobbyist donations. A fourth pot of money—oil and gas interests—favors Guiliani first, followed by Romney, Clinton, and McCain. Guiliani and McCain appear to have captured most of those who gave heavily to the Bush/Cheney campaign. The final source of major funding is from professionals, who are often tied to corporations and who generally have less capital and donate less money to campaigns. Health professionals, educators, entertainment, and computer/Internet professionals favor Obama with slightly more money than Clinton, who in second place stands well ahead of Romney, Guiliani, and Edwards respectively in donations. The officers and directors of one key ruling class organization, the Council on Foreign Relations (CFR), are unusually active in giving campaign donations to their presidential choice. The CFR, variously called the “Citadel of the Establishment,” has eight officers or directors giving to Clinton, six to McCain, four to Obama, and two to Guiliani. Some CFR leaders give to two or more more candidates, sometimes from different political parties. For example, former chair Peter G. Peterson gave to McCain, Richardson, and Dodd; former vice chair Maurice R. Greenberg to McCain and Guiliani; director Richard N. Foster to Edwards and Guiliani; and directors Anne Marie Slaughter and Ronald L. Olsen to both Clinton and Obama. Federal Election Commission data, as of the fall of 2007, sums up candidate financing, most of it from the corporate ruling class and professionals. Hilary Clinton and Barack Obama were well in the lead in fundraising, reflecting the presumption that a Democrat is likely to win the 2008 election. Romney, Guiliani, McCain, and Edwards follow in that order. These six—three Democrats and three Republicans—collected over 80 percent of all donations as of September 30, 2007 (see Table 1). The remaining major party candidates (at one time there were a total of 17 such candidates), divided the remaining less than 20 percent. Large donations as a percentage of total donations are also high for this top group, illustrating that the hidden primary is largely a game of the rich. For example, fully 63 percent of Clinton’s total amount came from donations of $2,300 or more; as did 60 percent of Guiliani’s, 40 percent of McCain’s, 46 percent of Obama’s, and 39 percent of Edwards’s. Conversely, only 12 percent of Guiliani’s total donations, 13 percent of Clinton’s, and 14 percent of Romney’s came from gifts of $200 or less. The comparable figure for McCain was 22 percent, Obama 25 percent, and Edwards 28 percent. Another telling statistic is the fact that, as of September 30, almost 70 percent of all presidential campaign funding came from donations in amounts of $1,000 or more. In terms of candidate foreign policy advisers, the Council on Foreign Relations plays the key role (see Table 2). Council president Richard N. Haass stated in the 2007 CFR Annual Report that, “The Council expects to play a large role during the 2008 presidential campaign…. We are offering the Council to each candidate not only as a venue but as a resource on a broad range of foreign policy issues…” CFR fellows and staff have briefed, among others, Clinton, Obama, McCain, Guiliani, and Huckabee. The names of these advisers are found in the campaign reports of several major newspapers, most comprehensively in the Washington Post, but also in the New York Times and the Wall Street Journal. John McCain, a CFR member, is advised by 18 current CFR members, including 5 former Secretaries of State, 4 former National Security Advisers, and a former CIA director, as well as a number of other CFR members who were government officials in past Republican administrations. Hillary Clinton is currently being advised by 16 current CFR members, including CFR member Bill Clinton, as well as an ex-Secretary of State, a former National Security Adviser, a former Deputy Secretary of State, a former UN ambassador, West Point superintendent, and the president emeritus of the CFR. Adviser John M. Keane, a former Army Vice Chief of Staff, interestingly enough, also co-authored Bush’s recent surge plan in Iraq, apparently belying Clinton’s repeated statements that she agrees on the need to end a disastrous and criminal war she voted for. Clinton’s national security coordinator is Lee Feinstein, a former CFR senior fellow and, until recently, executive director of the CFR’s Task Force program. Clinton’s CFR advisers also include an ex-U.S. ambassador to Israel and a former CIA general counsel. Rudy Guiliani is advised by five current CFR members and a large number of advisers who are not CFR people. The CFR group includes a former Assistant Secretary of State, while the non-CFR group includes people from less powerful think tanks like the American Enterprise Institute, Hoover Institution, Heritage Foundation, Hudson Institute, and American Foreign Policy Council, as well as previous Congressional staffers and former FBI director Louis Freeh. Mitt Romney has five current CFR member advisers, including a former Treasury Department general counsel, former Assistant Secretary of State, former State Department policy planning director, former ambassador to Bolivia, and the chair of the National Endowment for Democracy. Prominent non-CFR advisers include former Assistant Secretary of State Roger Noriega, several former FBI agents, foreign service veterans, Pentagon officials, and current elected officials and their assistants. John Edwards is advised by three current CFR members—a former assistant director of the U.S. Arms Control and Disarmament Agency, a former commander of the Army Material Command, and Edwards’s former Senate foreign policy aide Derek Chollet. Other advisers include four retired generals and two retired admirals, making a majority of his foreign policy advisers (as of October 2007) military people. Other candidates, like Mike Huckabee, Fred Thompson, Bill Richardson, Chris Dodd, Joe Biden, and others do not have the same kind of extensive and experienced foreign policy team, i.e., are not taken seriously by the wider ruling class. The final key requirement for a successful presidential candidacy is favorable media coverage, beginning with being defined as a “credible,” “leading,” or “serious” candidate by major magazines, newspapers, and radio and television stations. Since big corporations control the most important media outlets, it is no surprise that the top media are a key part of and reinforce the “hidden primary” process. CFR’s magazine, Foreign Affairs, has also played a key role in the candidate selection process. In 2004 Foreign Affairs was ranked as the “most influential media outlet in the United States,” above all others, including all broadcast media, in a study of U.S. opinion leaders. Foreign Affairs carried programmatic articles by eight Democratic and Republican candidates (out of 17), which the CFR considered to be the “viable” or “serious” ones during the July/August 2007 to January/February 2008 period. 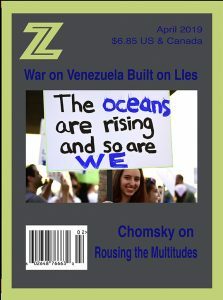 Two articles, one by a Democrat and one by a Republican, appeared in each issue of Foreign Affairs from July/August, 2007 to January/February, 2008. These articles appeared in the following order: Obama and Romney; Guiliani and Edwards; Clinton and McCain; Huckabee and Richardson. This placement indicates that the first six of these are the CFR favorites—especially Clinton and McCain who appeared in the November/December 2007 issue. Republican Huckabee was apparently added at the last minute (with Democrat Richardson added for balance), due to his sudden surge in popularity among “Christian” right- wing Republican voters in some early primary states such as Iowa and South Carolina. Huckabee’s actual policy positions are a scary mix of “unknown” in the case of much of his foreign policy, totally unrealistic on certain issues (U.S. independence from Middle Eastern oil while staying totally within the current framework of corporate market capitalism), and likely disastrous (eliminating the federal income tax and substituting a massively regressive federal sales tax). One poll ranking eight of the “leading” candidates on different qualities found Huckabee ranked first in “morality” and “honesty,” but dead last in “intelligence” (Obama and Clinton were ranked first and second), and second to the last in “competence” (Guiliani, McCain, and Clinton were ranked highest in this quality). Every four years many Americans put their hopes in an electoral process, hopes that a savior can be elected—someone who will make their daily lives more livable, someone who will raise wages, create well-paying jobs, enforce union rights, provide adequate health care, rebuild our nation’s infrastructure, and end war and militarism. In actuality, the leading “electable” presidential candidates have all been well vetted by the hidden primary of the ruling class and are tied to corporate power in multiple ways. They will stay safely within the bounds set by those who rule America behind the scenes, making sure that members of the plutocracy continue to be the main beneficiaries of the system. It is clear that, at best, U.S. “democracy” is a guided one; at its worst it is a corrupt farce, amounting to manipulation, with the larger population objects of propaganda in a controlled and trivialized electoral process. It is an illusion that real change can ever come from electing a different ruling class sponsored candidate. The main issues of our time—corporate power, global warming, dehumanization, war and militarism, the need for single payer health care and quality education, fairness in union organizing, workplace democracy, justice for immigrants, an end to poverty, joblessness, homelessness, a fair electoral system, including direct election of presidents, free media coverage for all candidates, public financing of elections, proportional representation, and instant runoff/choice voting—will not be solved by the ruling class or their preferred candidates unless the people force them to. It has been argued that another and better New Deal serving people’s needs and not corporate profitability is conceivable under a Democratic administration in 2009. This would only be possible if people’s movements, through direct struggle, give the ruling plutocracy no choice but to grant the people’s just demands. Laurence H. Shoup is the author of The Carter Presidency and Beyond: Power and Politics in the 1980’s and Imperial Brian Trust: The Council on Foreign Relations and U.S. Foreign Policy.